Vintage Health has been in business for over 25 years providing highly qualified foreign trained nurses to hospitals all over the U.S.
Our management team has over 100 years experience in human resources, recruitment and hospital management using foreign trained medical professionals. Vintage Health only recruits from the top schools and hospitals in the Philippines. Our nurses arrive in the United States with multiple years of clinical experience in their home country or abroad. Vintage Health handles all immigration paperwork. 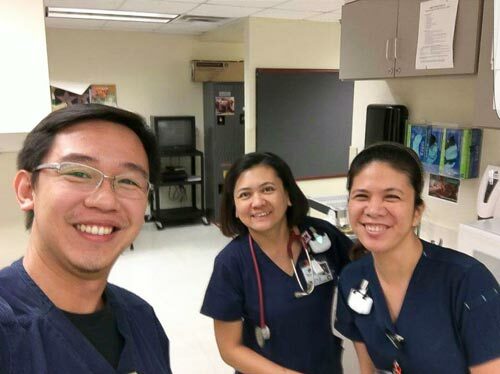 When Vintage Health nurses arrive at a client facility they are licensed, ACLS/BLS certified and ready to work on an EB-3 visa (employment based immigrant visa). Vintage Health nurses are assigned to a facility for long-term assignments. This allows them to become team players at that facility and results in a high standard of care and a continuity of medical coverage. After Vintage Health nurses complete their employment contract, they are free to work directly for the client facility. Many of our nurses elect to stay at the facility to which they are assigned on a long-term basis. Vintage Health billing rates are substantially less than the rates of traveling nurses, while offering the same quality with experienced nursing. Vintage Health guarantees its nurses to the client’s satisfaction. Contact Vintage Health Resources, Inc.